All Outdoor Pro Series kits on this page are perfect for ice fishing and great for year round fishing. 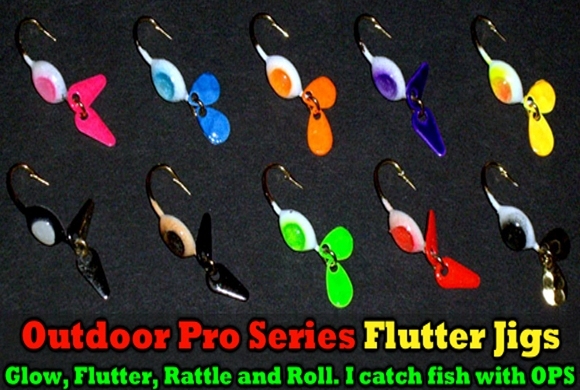 Why spend over four bucks a piece on jigging spoons with less quality when you can have top of the line OutdoorPro Series Flutter Jigs at a fraction of the cost. The quality is better too. Super sharp VMC hooks, mustad hooks, and high quality chip resistant paint. Built to attract and hook-em solid. 10 OutdoorPro Series fishing jigs that flat out attract & catch fish!